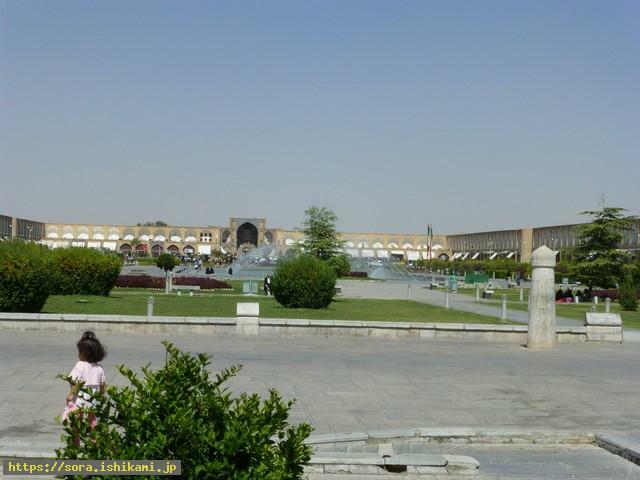 There is an open space like this in front of the big mosque in Iran. There are private rooms around the open space with semicircle or rectangle entrances. Those seem to have been the rooms for Stone humans. There is a bazaar to the right.